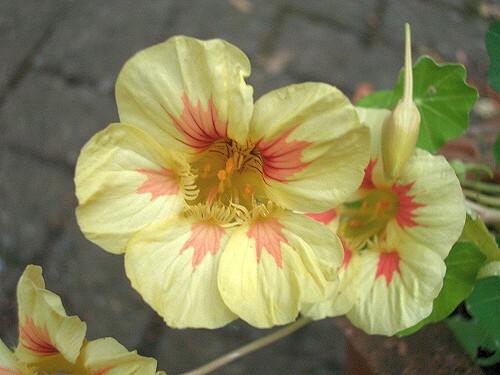 Nasturtium is a native of South America. 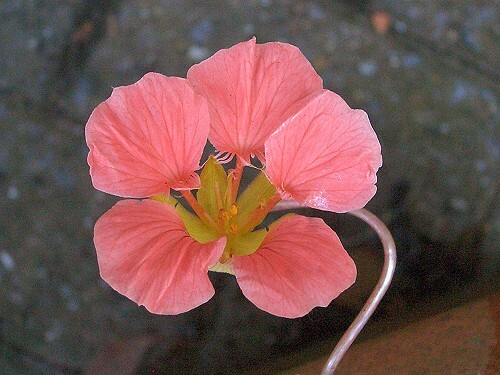 In this country it is a popular garden flower grown for its climbing or trailing habit. There are many different garden varieties, three of which are pictured here. The flowers are colourful and attractive, about 5cms across. The leaves are mid-green and circular with a wavy edge. 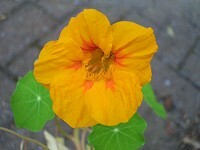 Nasturtiums are excellent plants for hanging baskets and pots. The flowers are edible and can be used in salads.